£100 pounds non returnable deposit and remainder to be paid six weeks before arrival date . 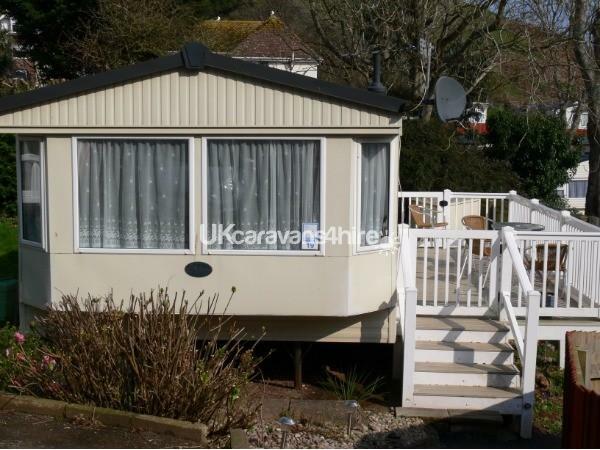 £100 pounds cheque returnable security deposit which will be returned uncashed when the caravan has been serviced, after you have vacated it . 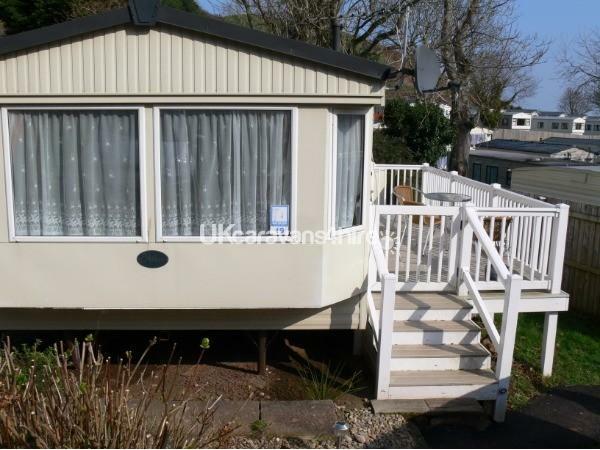 This private family owned caravan is ideally situated for access to the site amenities and also to the bus stop where the Number 12 can take you to Brixham, Paignton or Torquay every 10 minutes. There is car parking available outside the caravan which will save you long walks to your vehicle. 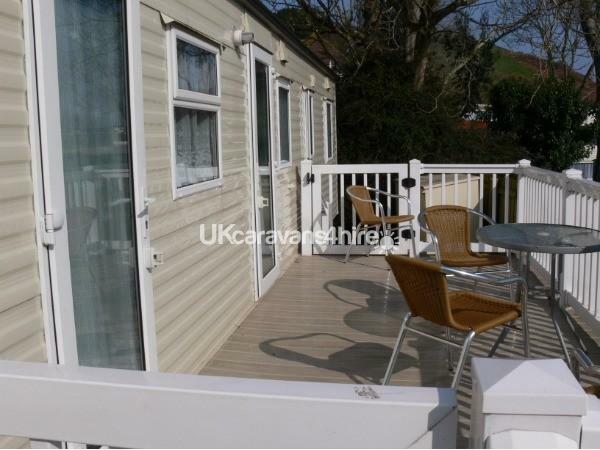 There is also a disabled parking space next to the caravan . The large outside gated decking area has a table and chairs so you can enjoy your breakfast, lunch or dinner alfresco. Or even just to enjoy a relaxing drink. It has a large living area which is ideal for seating all the family, when either eating or relaxing and still giving you plenty of room. 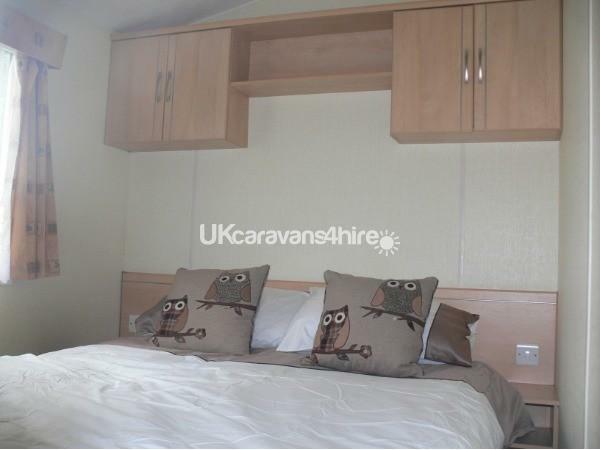 There is a double fold out bed for extra sleeping arrangements in the living area, as well as the double bedroom and 2 twins bedrooms. 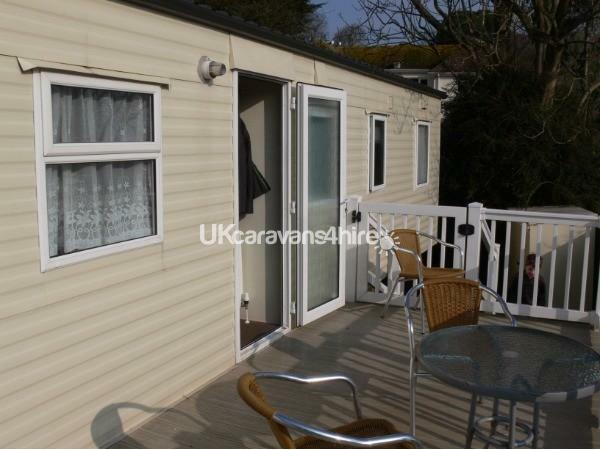 The toilet and shower room are separate which is ideal especially with large groups and families. The shower is a large walk in double which provides plenty of room. Bed linen is not supplied but can be hired from the Reception if you decide not to bring your own. Duvets and pillows are provided for up to eight people. Number 19 has mains supply for electricity, gas and water, which stops any need for gas bottles and meters to run out. For colder days there is a gas fire in the living area and gas central heating in all the rooms. 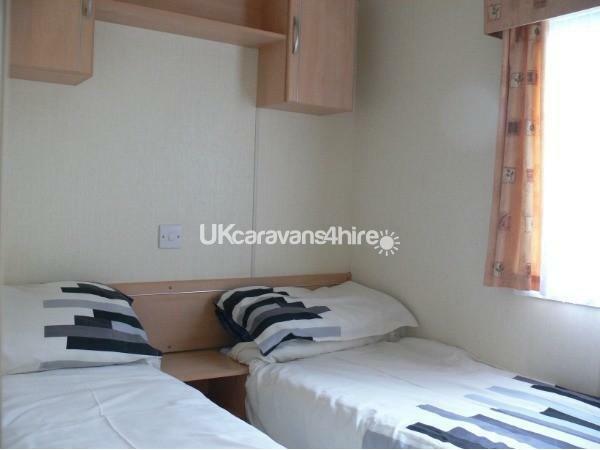 The caravan is also double glazed. We do not provide entertainment passes but these can be purchased from the reception for a small fee if you so require them. 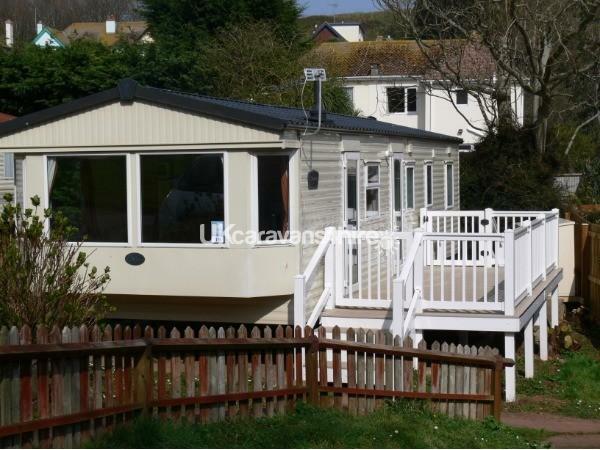 Waterside Holiday Park is an ideal holiday location which is situated in Goodrington on a direct road link to Brixham, Paignton and Torquay to just name a few popular and attractive areas to visit. 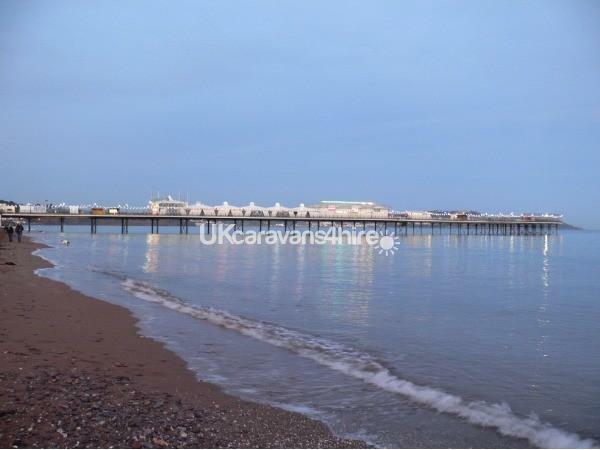 It is also a 10 minute walk to Goodrington Beach and Quay West which is a popular water park. Various water sports can be enjoyed at Goodrington as well as having a large sandy beach. It also has other shops, pubs/restaurants and takeaways within walking distance if you fancy a change from the site facilities. In nearby Brixham fishing trips and ferries/cruises can also be enjoyed. 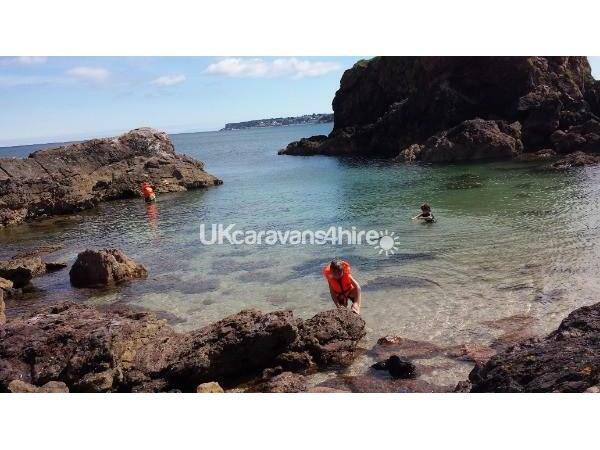 There are several smaller coves with rock pools within walking distance which can be enjoyed with children. The steam train can also be seen from the site as this runs alongside several times a day. Thank you for reading our web page we look forward to hearing from you soon. Additional Info: outdoor heated pool, kids club and some evening entertainment, eg link up bingo .